Creating a comprehensive business plan is an important step for any blossoming business. Whether you’re hoping to attract new investors or qualify for a bank loan, you’ll likely need to present a documented plan to help clarify the ins and outs of your business for interested parties. ﻿ In a bid to woo the business crowd, Microsoft Word has developed a way to make the process of compiling a business proposal easier than ever. Microsoft Office offers more than a dozen business and marketing plan templates to help you create a coordinated, professional looking business plan with the potential to impress investors and other stakeholders. 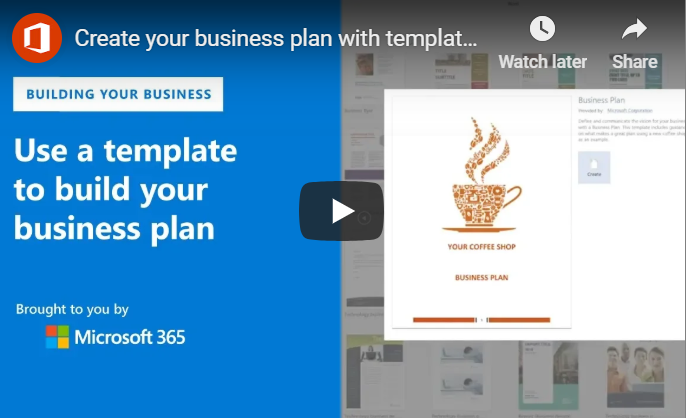 If you’re using an older version of Word, you may need to visit the Microsoft website and download your business plan template from there. Do you have enough start-up capital? What are your sales projections during your first year? Answering these can be one of the most difficult parts of writing a business plan, but doing so is necessary to ensure your business has the potential to sustain itself. Determining a clear, concise game plan for how your business will be run can set the tone for success early on. Every business is unique with regard to tone and style. Because of this, the program comes equipped with a variety of templates to choose from. Once you’ve got a clear picture of what your business is, where it is and where you’d like it to go, you can then begin to develop a solid strategy to help your plans come to fruition. First, you’ll need to begin a new Word document. You can use the suggested search options to find your desired template. The template will contain step-by-step instructions to help you build your plan. While all business plans are unique in their content, they should still follow the same formula in order to cover all the bases of your business. An effective business plan will contain key highlights such as your business concept, market summary, competition, goals, opportunities, financial plans and others. Every legitimate business plan will contain an executive summary that paints a clear picture of your business. This will contain the “meat and potatoes” of your idea, meaning it’s where you will offer details about what you do, your goals, your mission statement and how you plan to become a success. This is likely the first section your potential investors will see, and therefore, it’s important to invest time in accurately capturing your idea so you can organize it properly. This is where you will begin to explain crucial details of your business. You’ll be asked to describe your company’s ownership, your location, products and services and hours of operation, among other things. Here you will also go in-depth about how you plan to carry out your goals, including listing your suppliers, services, manufacturing and financial management. Marketing is an important aspect of any business, regardless of industry. It’s a topic all business owners must consider, and it can be of great use when included within a business plan. It can help determine how much of your funds should be allocated for attracting new business. Just like rent, payroll and materials are all large factors for a new business, marketing is one area that requires due diligence. A thorough business plan may contain things like market analysis, reports on market segmentation, competition and pricing. These are all key to understanding how well your business will do within your industry. The last section of your business plan will be the appendix. Your business plan’s appendix will contain further details about the finances surrounding your operations. You’ll need to list things like your start-up expenses, for instance. How much will it take to launch your business off the ground? Cash flow and income projections are also vital for your business plan, as are other items like balance sheets and sales forecasts. You may even include things like tax returns in this section. Once you’re done, share the file with your team via OneDrive. This will ensure your team members are able to view and make edits as needed. With Microsoft, team members can even see each other’s changes in real time. If you are using Microsoft Team for communication, you can create a file folder and share your business plan there. This allows for a focused discussion about changes that may be needed, even if part of your team is working remotely. It’s important to gather the insight of those who know your business best, which can help your plan convey the most significant aspects of your business. Owning a company is hard, and creating an all-inclusive business plan is one of the many difficult tasks business owners are faced with. Microsoft Word is only one of the many tools at your disposal to create a business plan that paves the way for success.